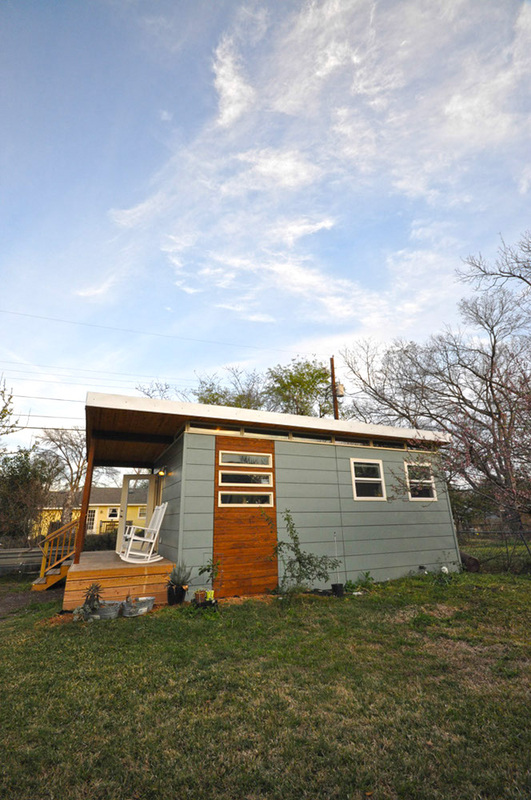 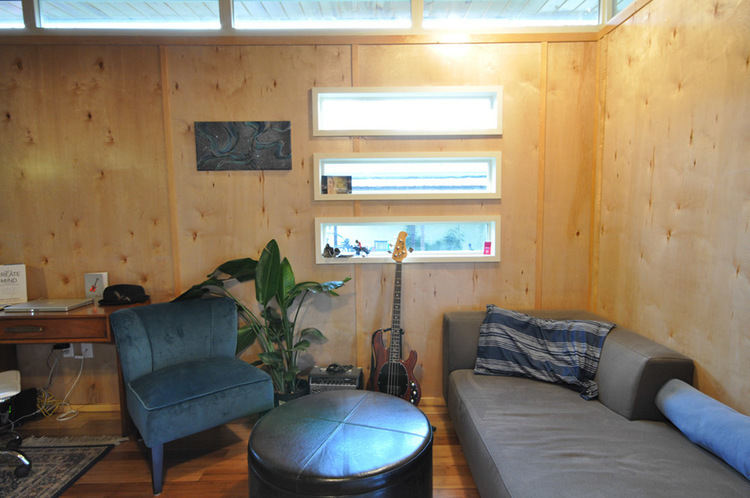 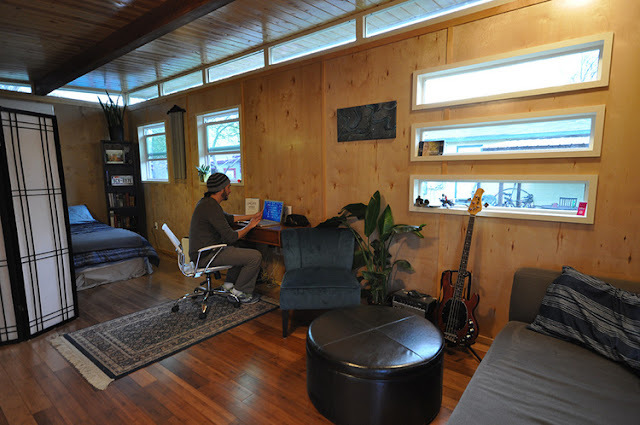 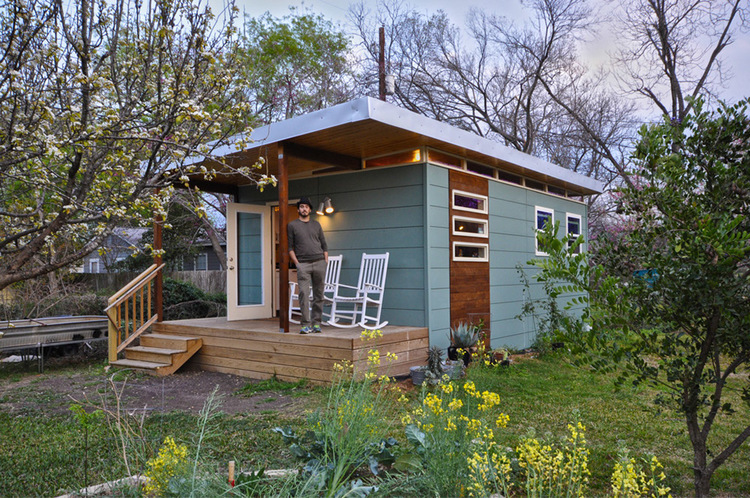 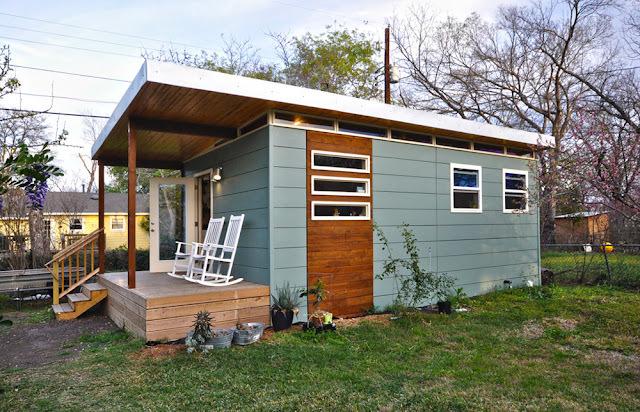 The Modern Cabin that measures 14’ x 24’ is produced by Kanga Room Systems, a Texas-based company. 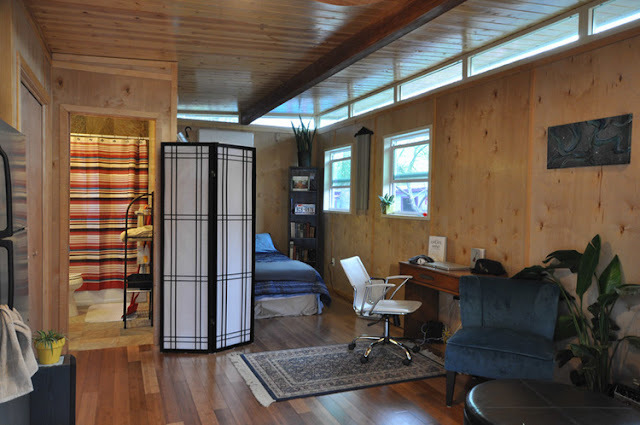 Similar to their other models, this home has a kitchen, bathroom and plenty of space to customize! It also boasts an average monthly energy bill of $25! 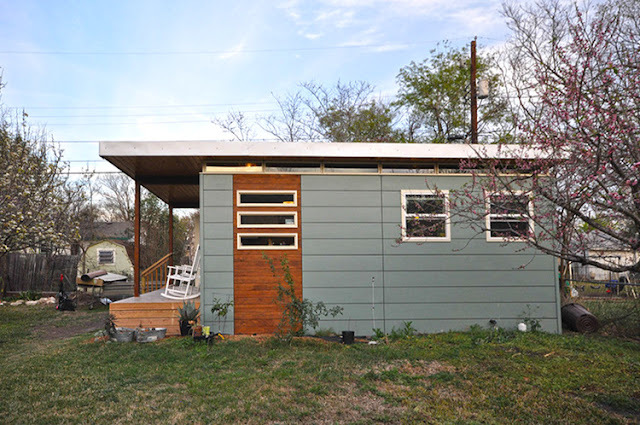 When you walk into this home, you’ll see the living room on the right. This space is furnished with a chaise sectional, accent chair, ottoman, decorative plants and a workspace. 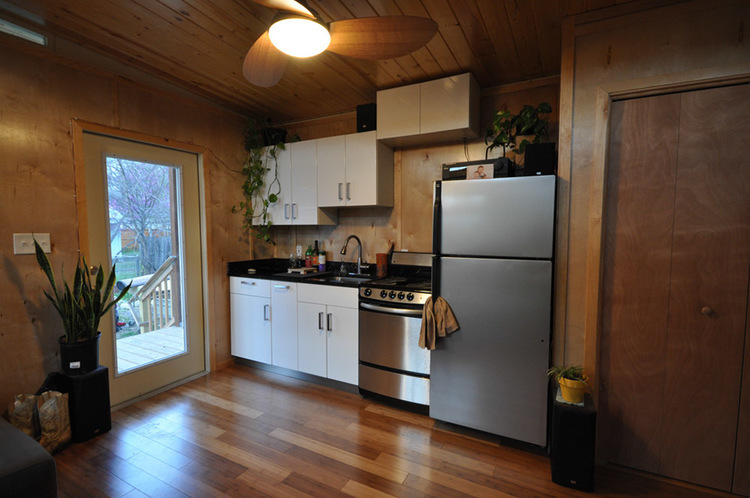 Across from the living room is the kitchen that features stainless steel appliances (refrigerator/ freezer, 4-burner range/oven), black countertops, white cabinetry and a stainless steel sink. 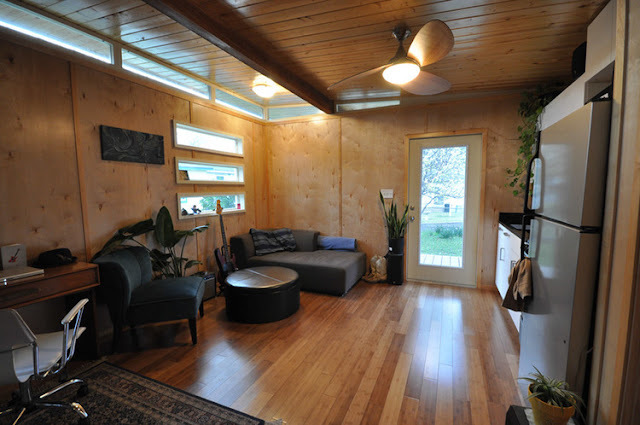 Past the kitchen and also on the left side of the home is the full bathroom. 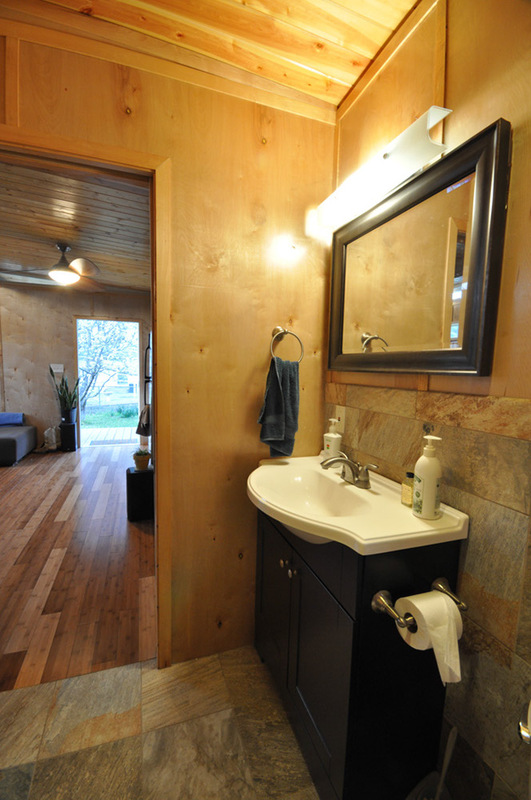 Here you will find a white sink, black vanity, wire storage rack, standard toilet and shower. 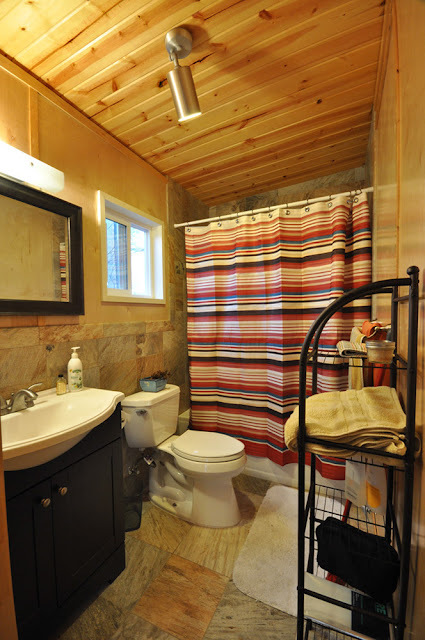 Like other Kanga Room Systems dwelling units, the bathroom is pretty spacious. 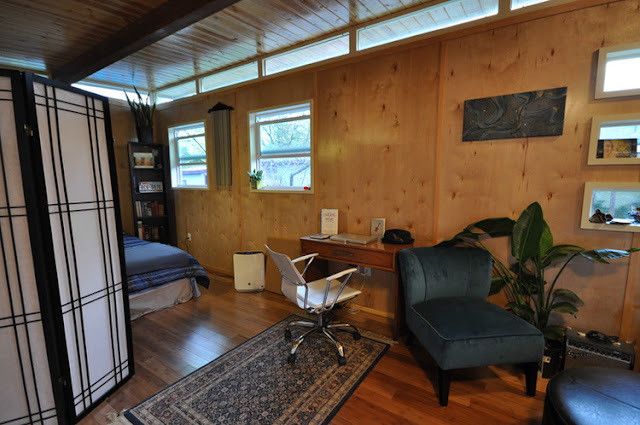 To the right of the bathroom is the bedroom area furnished with a full-sized bed, bookshelf and dresser. 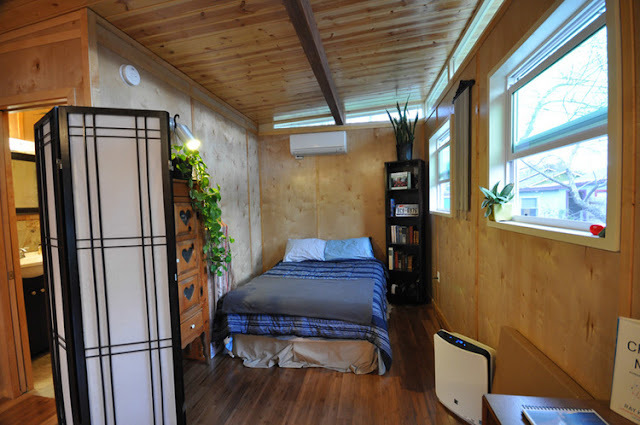 For more information on this dwelling unit, pricing and financing, contact Kanga Room Systems!